Bengaluru, June 18, 2016: Karnataka Cabinet reshuffled where Chief Minister Siddarmmaih got green signal from Congress High Command to drop some ministers and introduce new fresh faces in the cabinet on June 18th. 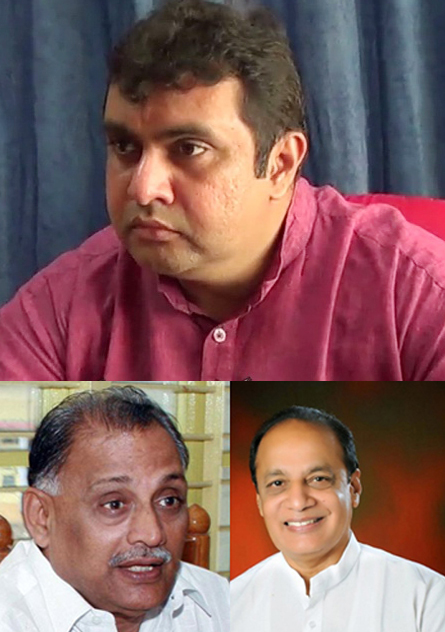 Two ministers from Dakshina Kannada were taken out and replaced one from Udupi. "We discussed all names to be dropped and inducted with AICC President and Vice President Sonia and Rahulji. We have convinced them. High Command has authorised me to go ahead with the reshuffle," Siddaramaiah told reporters here after the second round of consultations in as many days with the Congress Chief. He said "the list will be prepared in a day or two and will be submitted to the Governor". Amid pulls and pressures for ministerial berths, the discussion held yesterday in connection with the much talked-about reshuffle had remained inconclusive. Before the meeting, Siddaramaiah discussed the matter with Congress leader in the Lok Sabha Mallikarjun Kharge. Sources said that the chief minister has proposed dropping of at least 10-14 ministers from the Cabinet and inducting young legislators and senior Congress leaders in order to balance caste and regional factors. Karnataka Pradesh Congress Committee President G Parameshwara and Congress General Secretary Digvijay Singh were present in the meeting. Gulam Nabi Azad, who was in charge of Congress affairs in Karnataka in 2014, joined the deliberations later.